Sabrina Horn is a technology and PR industry thought leader. Currently, she serves as Managing Partner, Technology Practice Leader at Finn Partners, a global communications firm. In this role, she is guiding and leading the firm’s direction in technology, as well as business development and client service across multiple tech sectors and geographies. Previously Horn was President and CEO of HORN Group, a leading PR/communications agency in Silicon Valley and New York, which she founded in 1991 and sold to Finn Partners in 2015. For over two decades, she helped put hundreds of new companies on the map, created industry categories, and shaped emerging tech markets with sound PR/communications strategy and execution. She began her career at Blanc & Otus and Edelman PR, both in San Francisco. Horn also serves on the Advisory Boards of Akoonu, a marketing technology startup; AirPR, a software metrics and analytics company focused on the marketing industry; German Accelerator Group, focused on helping German startups launch their businesses in the US; Illuminate Ventures, a venture capital firm; and The Jordan Edmiston Group (JEGI) an investment bank in New York. She has served as a Board Member on the PR Council and the Software Industry Information Association. Horn was recently inducted into the PR News Hall of Fame, has received accolades for Technology Agency of the Year, Best U.S. 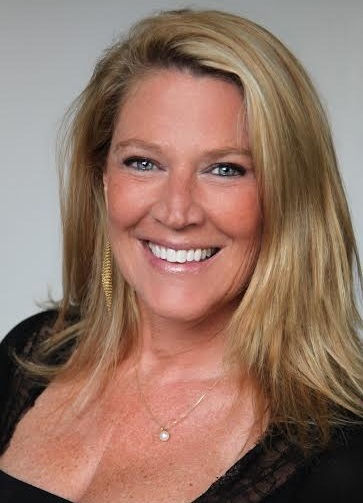 Employer, www.workingwoman.com, and has been consistently recognized by PR Week, Holmes Report and Inside PR as one of the PR industry's most successful entrepreneurs and innovators. She has authored several research papers including "Public Relations for Emerging Growth Technology Companies," and "Advertising in the People's Republic of China." She has a MS in Public Relations from Boston University and a BA in American Studies from Hobart and William Smith Colleges. She has two daughters, two large Goldendoodles, and loves to cook, run, listen to live music, and knit in her spare time. I went straight through college and graduate school (Boston University, College of Communication) to receive a Master’s in Public Relations, so I knew very early on that I wanted to be in PR. My Master’s Thesis was “Public Relations for Emerging Growth Companies in Silicon Valley,” for which I conducted original research during an internship at a PR agency in Santa Clara, California in 1984. After graduating, I got my first “real” job as an Assistant Account Executive at a big agency in San Francisco. And so it began! Tell us about HORN Group. What inspired the idea and what is your vision for the company? I am the daughter of two German immigrants, who were both entrepreneurs in their own right. My entrepreneurial spirit came from them, and it’s in my DNA. After a couple jobs in San Francisco, I decided I wanted to build an agency in which people could stay and grow and build their careers. I loved the new innovations in business software coming out at the time, and thought, why not hang out my own shingle? My vision has always been to build and maintain an excellent company culture, and with my employees, to work with and support some of the industry’s hottest, coolest technology companies. In tech, you’re really talking about companies that make technology to change the way we live and work. To tell those stories, is a huge responsibility, and one I take very seriously. What strategic partnerships/marketing strategies have you implemented that have attributed to HORN Group's success? Every engagement we ever had with a client contributed to our success, because their success became our success. We also built our own network of design agencies, international agencies, and other complementary services groups to have a broader offering. At this time, there is a lot of change in the PR industry. The lines between PR, social and digital are blurring. It’s all just “communications.” Since Horn Group was acquired by Finn Partners last September, we are leveraging the broad range of services they offer to implement integrated campaigns. We also see a marked increase in the use of video for visual storytelling, so much so, that it may exceed the written word in certain campaigns. We are capitalizing on this trend by increasing the scope of capabilities with our video team at Finn. And lastly, with all the volatility in the world and in the markets, we are returning to communications campaigns that are love-based, as opposed to fear-based. That means, humanizing some of the messages in our positioning with emotion, and amplifying the cultures of the companies we represent, among other things. Be curious and be kind. Your greatest success as Founder/CEO of HORN Group? Most difficult moment-how did you overcome and what did you learn? My greatest success was starting Horn Group and winning our first client, PeopleSoft, a successful company which we grew with over 7 years and loved to work with. My other greatest success was selling the Horn Group 24 years later to Finn Partners, a wonderful agency with the same culture and values and aspirations. Realize your strengths and weakness, and hire people who complement you and know more than you. You will make mistakes. Learn from them, and don’t make them again. Always leave something on the table. The world is a small place and people will remember your generosity. Work really, really passionately. Your passion will see you through any difficult time or challenge. Describe the ideal experience using HORN Group/Finn Partners. The ideal engagement with Finn Partners now including Horn, is a client in technology that understands the value of PR, is willing to invest in it, and partner with us to make it a successful effort. It also needs to have business objectives that we can achieve with tangible goals and proper expectations. As long as everyone is clear, and there is open communication about what is working and what could be improved, and all of the resources are available for us to use, we will deliver all desired outcomes. I love to communicate with our folks. It's important to talk with them often and frequently in both formal and informal settings about what is going on within the company, how we are tracking to our goals, and to talk about our vision. Also, at Finn Partners we have an extensive list of benefits (both soft and hard), and make sure we maintain a great working environment. Winning "Best Employer to Work For" was a great acknowledgment of that. What's next for HORN Group/Finn Partners? Well, now that we are part of Finn Partners, we have united our vision and mission. We want to grow and expand our Technology practice by working with great companies in cybersecurity, mobile, IoT, healthtech and edtech sectors. We want to set the standard in great PR for our clients, evolve our services to lead the industry, and we want to raise the bar as being the best place to work in the industry.